This small gathering will be from May 4 - 6. If anyone wants to check it out, I'm happy to offer my floating dock for storage of your kayak while you are down. I can recommend some nice day trips around CK and also the Lower Swanee River. 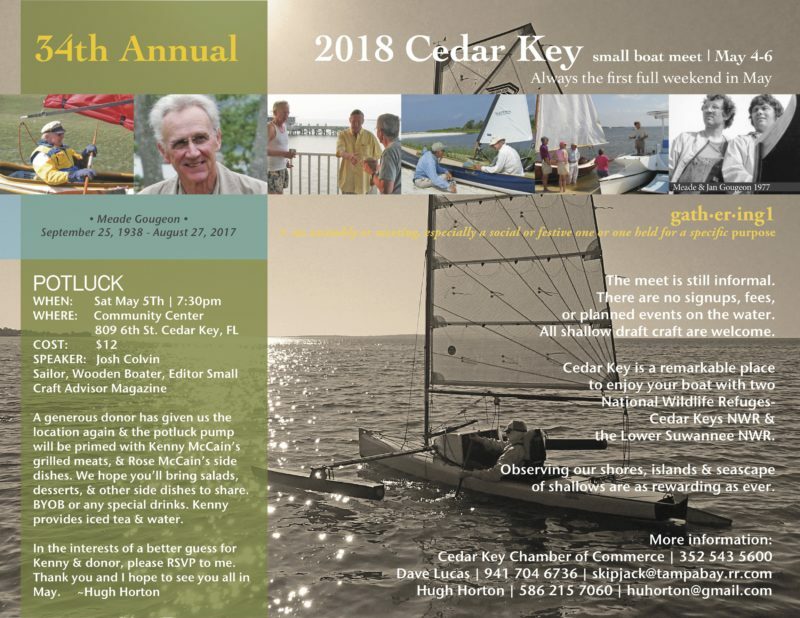 If you have not heard of Cedar Key, that's not surprising. There are less than 1000 full time residents and it's not near any population centers (two hours from Jacksonville, Orlando and Tampa). Thanks for posting this note. I've wanted to attend for a while, but something always seemed to come up. THis could be the year.. I used to live down in Naples near DW. I would walk my outback to Vanderbilt beach and launch from there. Lots of good memories. Just a quick bump. If anyone is interested in checking out CK, feel free to hit me up for some local info.